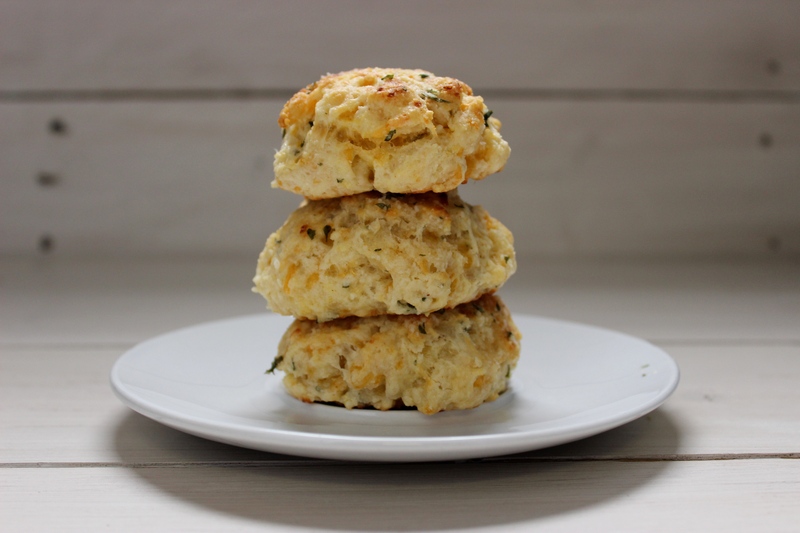 Red Lobster is known for their flaky, tasty biscuits. Whenever we go there my husband asks the waiter for more! =) They really are that delicious. But, why pay money for them when you can create something just as delicious in the comfort of your own home? I’ve made these several different ways… but I think this is my favorite. I use this recipe a lot when I need a last minute addition to the meal…. or when I want to be organized for guests and make the dough ahead. They’re best straight from the oven to the table anyway! Don’t be afraid of the long list of ingredients…. its just a lot of seasonings that if you’re anything like me, you won’t bother to measure. A little more garlic won’t kill you and a little less won’t either. And the more cheese the happier your husband will be!!! Mix dry ingredients. Cut in butter and crumble. Add cheese, milk, honey, & egg. Mix until combined. Refrigerate overnight. (works fine if not refrigerated) drop by spoonfuls onto greased baking sheet. Bake at 450 for 10 min. or until golden. Melt butter, add parsley, garlic powder, and parmesan cheese. Brush on warm biscuits. Serve warm! these look very yummy! i must try these! hmmm… sorry I need to do a better job at keeping track =) I’m not totally sure, but I’m thinking around 12 biscuits the size that I had made them. 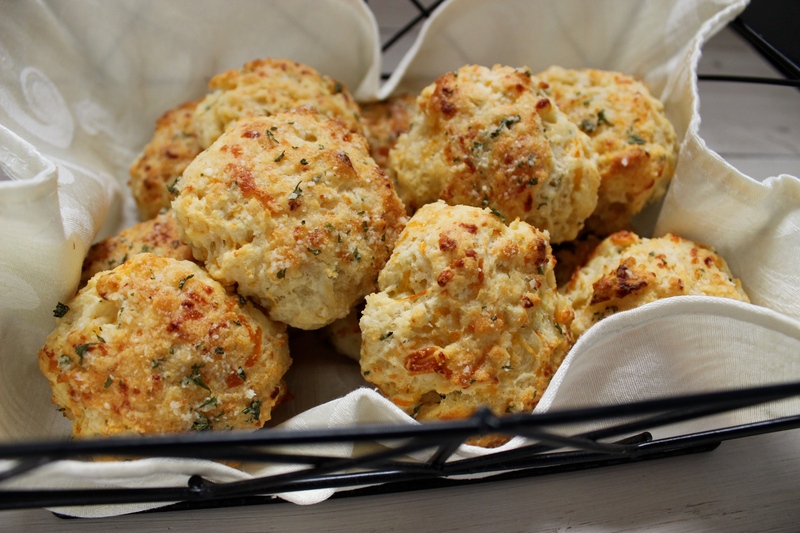 But if you make them smaller like “Red Lobster” does, you could get more like 18.